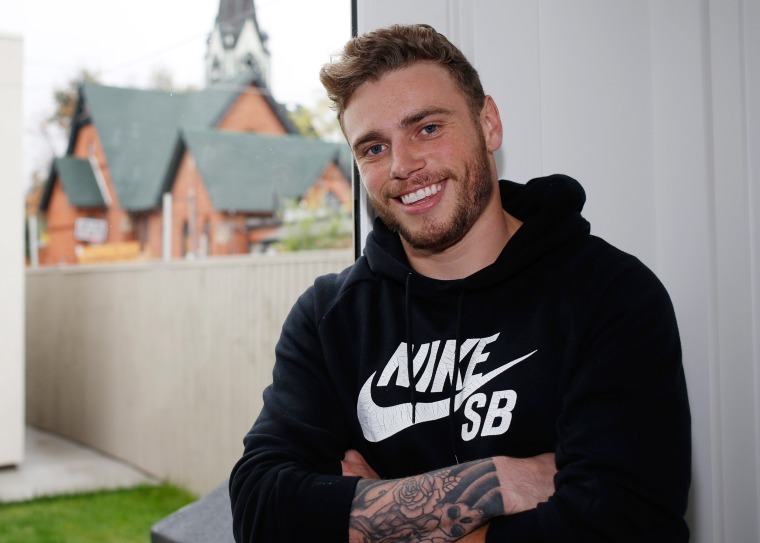 World champion skier Gus Kenworthy, who won a silver medal at the 2014 Sochi Olympic Games, has come out as gay. The 24-year-old Olympic medalist and top freeskier in the world revealed the news in an interview with ESPN The Magazine published on Thursday. "I am gay," Kenworthy said in posts on Twitter and Facebook in which he shared the cover of the latest issue of the magazine. "Wow, it feels good to write those words," he said on Facebook. "For most of my life, I’ve been afraid to embrace that truth about myself. Recently though, I've gotten to the point where the pain of holding onto the lie is greater than the fear of letting go, and I’m very proud to finally be letting my guard down." In the magazine interview, Kenworthy described his struggle with the decision to come out, saying that he wasn’t ready to reveal the truth to the public during the Sochi Games. in Sochi because I felt so horrible about what I didn't do," he told the magazine. "I didn't want to come out as the silver medalist from Sochi. I wanted to come out as the best freeskier in the world." The U.S. Olympic Committee was quick to voice its support for Kenworthy in a post on its official Twitter account, saying "We are PROUD to say you are part of #TeamUSA!" Kenworthy was part of one of the few American trios in Winter Olympic history to sweep an event, taking the silver medal for the men’s freestyle skiing slopestyle in Sochi last year. The skier also led a campaign during his time in Sochi to call attention to stray dogs in the area, finding homes for several of the stray pups in the United States.